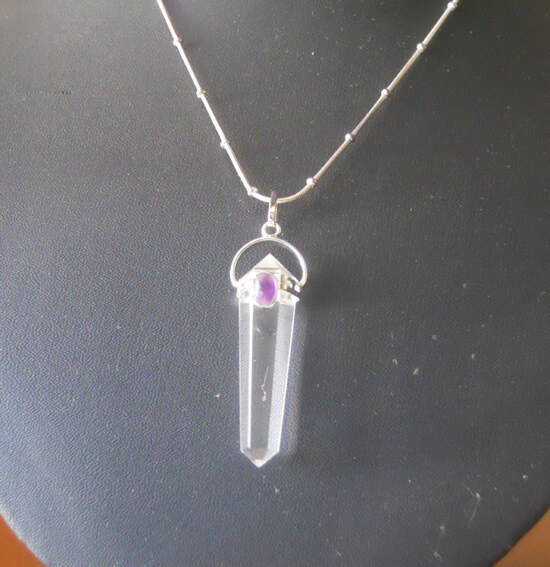 Vogel cut Crystal pendants with Amethyst. 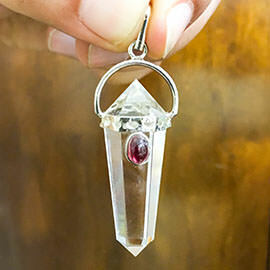 The quartz crystal is excellently cut with 6 facets and is double terminated . 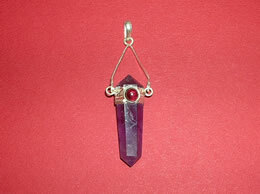 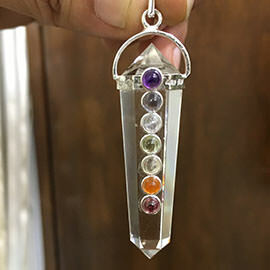 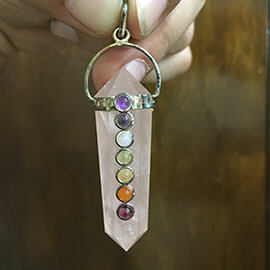 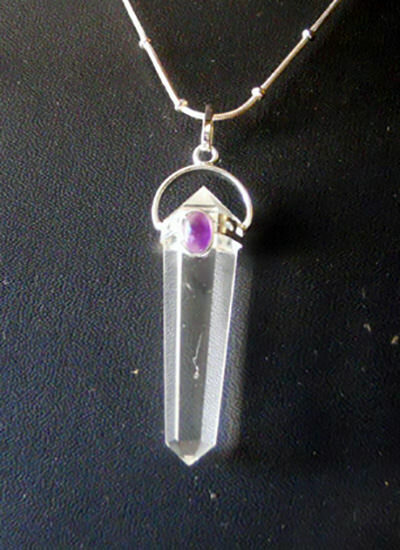 This vogel pendant is embedded with gemstone Amethyst in it for powerful healing effect.